The fictional story of a filmmaker from downtown Cairo played by Khalid Abdalla as he struggles to capture the soul of a city on edge while facing loss in his own life. 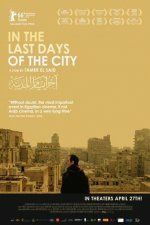 In the Last Days of the City release date was Friday, April 27, 2018. This was a New York release. Friday, May 4, 2018. This was a Los Angeles release. 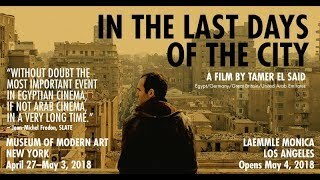 Shot in Cairo, Beirut, Baghdad and Berlin during the two years before the outbreak of revolution in Egypt, the film’s multi-layered stories are a visually rich exploration of friendship, loneliness, loss and life in cities shaped by the shadows of war and adversity.